My friend, Mukkove Johnson, has recently published her newest book "Easter is About Jesus." 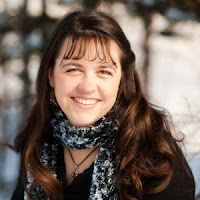 Back in January, I did an INTERVIEW with Mukkove about her first book, "Christmas is About Jesus," and am looking forward to using it with our children this coming Christmas season. After looking over a PDF version of her new Easter book, I am excited to use it in the Spring. 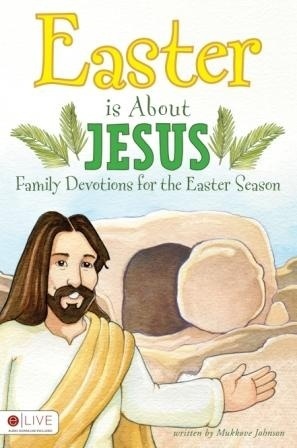 The book is laid out very nicely, and includes 15 short devotionals to read with younger children as Easter Sunday approaches. Along with the devotionals, there are also a few thought-provoking questions and easy activity ideas. One note of mention is that this book does not describe or define how each symbol of Easter was originally incorporated into the holiday. For example, there is no history of the Easter Bunny, and it does not say that "doing" the Easter Bunny at this time of year is right or wrong. The focus is not on the history or the meaning of the symbols. Instead, it uses these symbols (Easter Bunny, Easter eggs, Jelly Beans, Palm Branches, Empty Tomb, etc.) to bring about discussion based on the things we SEE during this time of year. It is a unique approach. The only thing I think the book was lacking in was a clearer explanation as to the purpose of Jesus' death and resurrection. But, that can easily be incorporated into your discussion time. Vicky, Thank you for having me on your blog! It’s an honor to share with your readers. I live and write in Alaska with my wonderful family. My parents moved here from Minnesota when I was 9, so this is definitely home. We live on our own 5 acres and enjoy seeing mountains on the way to the store, and well everywhere else, too. I home school my three children. We’re just getting geared up for that now. We have a “soft” start date of September 10. This time of year is a bit like Christmas because of all the new supplies and curriculum arriving. I have always enjoyed writing and producing works. I started with the 6th grade class newspaper and never stopped. I worked on school newspapers and yearbooks all through high school. I write, journal, and scrapbook. I have one scrapbook from when we didn’t have a camera – more writing. I even wrote things and made them into books for my children. One of those is my first published book Christmas is About Jesus: An Advent Devotional. My second book is coming out in stores online September 18, 2012. Easter is About Jesus: Family Devotions for the Easter Season contains 15 devotions geared mainly towards younger children. Each devotion takes a common sight of the Easter season and explains how it can remind us of Jesus. There are discussion questions and “More Time with God” activities to help children grow in their relationship with God. The questions and activities should also help the devotions be more relevant to the entire family. If you have read my books I would love to hear from you.